So I guess the title is a bit confusing. 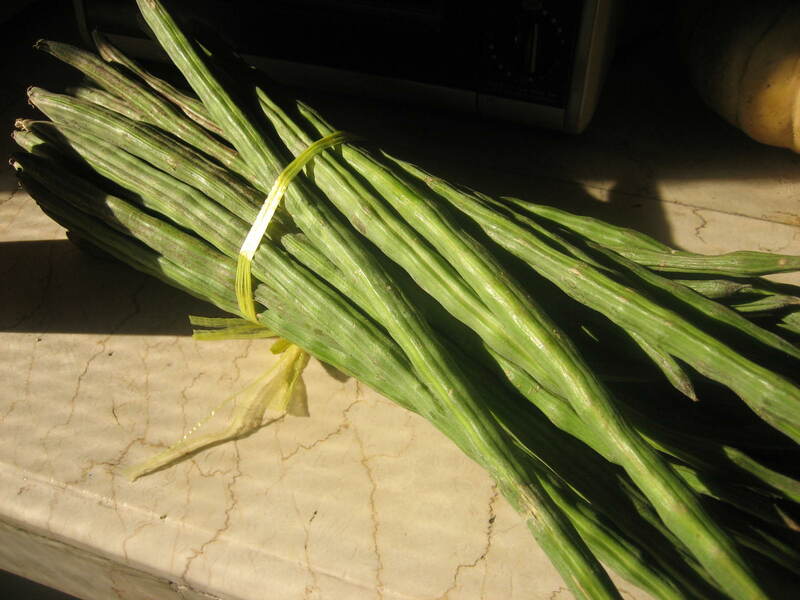 Malunggay, or Moringa, is also called Horseradish Tree (from the leaves looking like a horseradish supposedly). 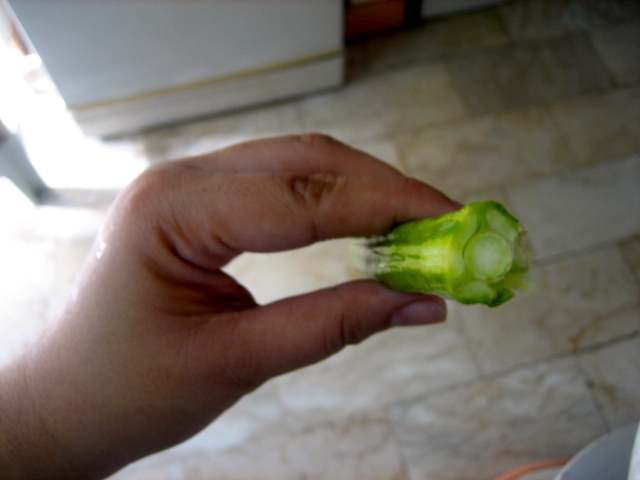 It’s fruit is what we’ll be talking about now, because I don’t even eat the malunggay leaves. So the fruit isn’t really a fruit like banana, mangoes, etc. It’s more of a legume, that hangs above, on the tree branches. It grow to about 1 1/2 feet long per stalk. The skin outside is tough, and what you actually eat is the meat inside that you scrape off the skin, along with the beans inside. It has become one of my favorite vegetables (legumes?) since I tasted it a couple of years back, through Inang (my grandmother). I wasn’t even familiar with it until we were told that these were edible and that the malunggay even had more yummy counterparts than its leaves! Of course, I can’t ignore the fact that right now, malunggay is being advertised as one the greatest green leafy vegetables there are. They’re now putting it on crackers, making pesto out of it, and even adding it to banana chips! But I’m just not in love with it. We found this haul above in the Alabang Market for a measly P40! This is almost equivalent in price to what we bought inVillasis Market in Pangasinan a couple of months ago. And we didn’t have to travel so far! My mom was actually the one who pointed them out, and no matter how far the walk we were supposed to go to get to our car, we lugged around the more than one kilo haul of bunga (fruit) ng malunggay. I decided to prepare this on my own, instead of letting ate Pines do it, since I wanted to do it the way my Inang did it before. She taught me that you have to “peel” that fruit, for almost the same reason you peel celery: to remove those fibrous strings that are too tough to chew. The difference though is for the malunggay fruit, you really won’t be eating the peel anyways. It took me one hour to clean up the whole thing. I slice the tip almost all the way through, and for the last part, pull it off along with the many strands. Next slice, around 3 to 4 inches in length, I would be the same thing, so that in the end, most of the fruit has been peeled. 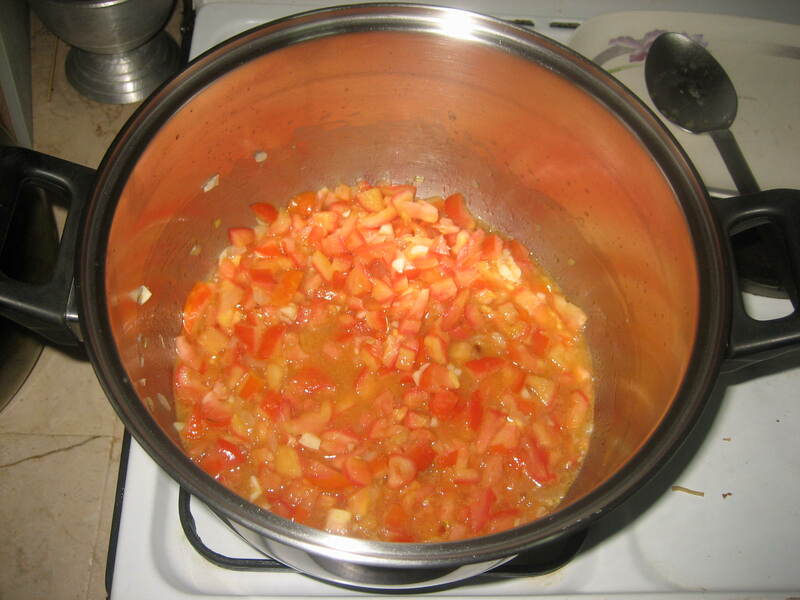 Afterwards, I diced an onion, half a garlic head, and around 5 juicy tomatoes and got ready to saute everything. First were the onion and the garlic, then the tomatoes. Added a bit of fish sauce and let it cook for a good 5 minutes. Then the malunggay fruit. Since I had a lot, it took me 20 minutes to get everything cooked through, with a thorough mixing every 5 or so minutes. No need of overcooking these as they are legumes, and won’t wilt to badness if overcooked. 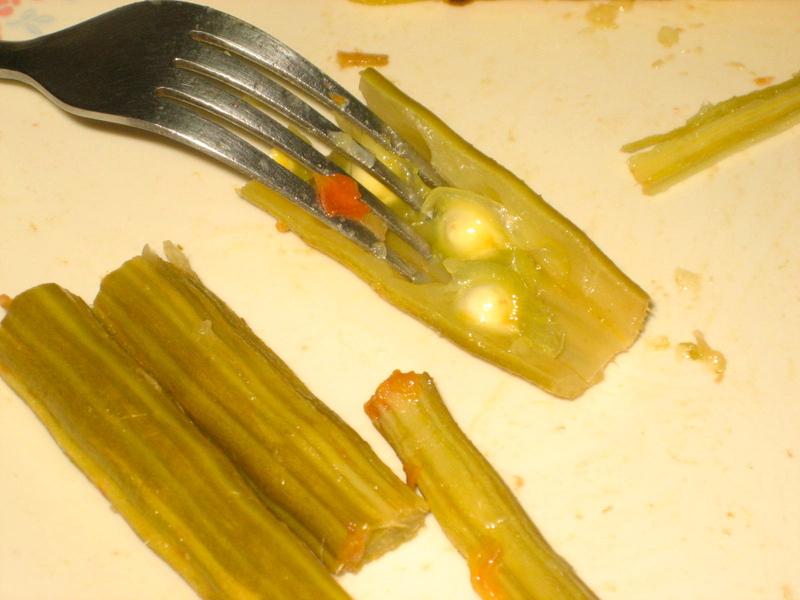 To eat, you open one, then while holding down one end with your fork, you scrape everything off the pod with your spoon (or knife) and eat the good insides. 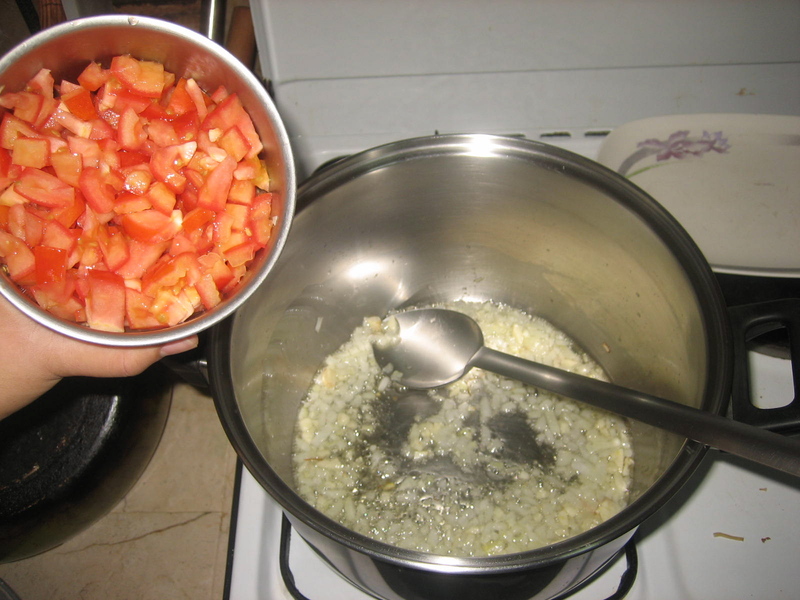 The flavors of the tomatoes, fish sauce, garlic and onions penetrate the beans 🙂 Yummy as is or with rice! 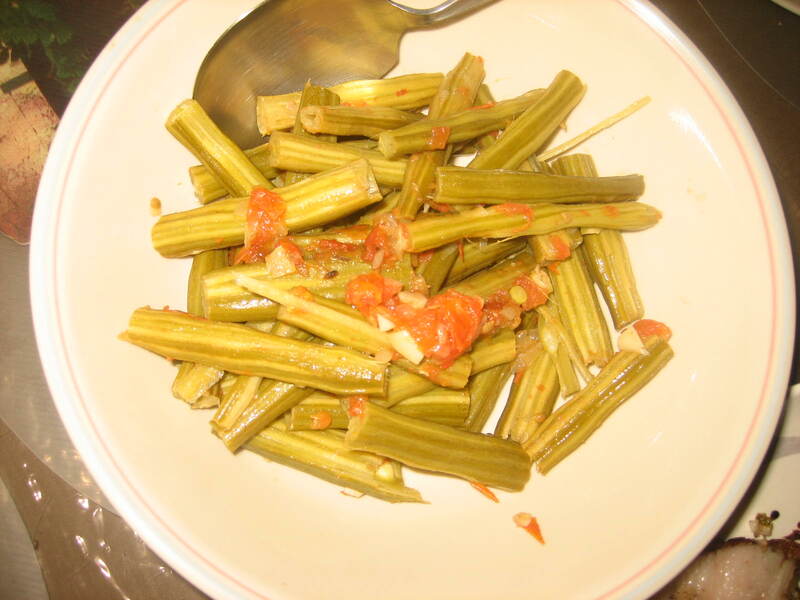 i miss eating bunga ng malunggay… you should have brought some for me. We have malunggay trees when we were still in qc. Just a regular dish when i was a kid. I have small trees here in Texas, but no fruit yet. Still growing. Because its getting cold I must move them into a green house. Hopefully in few in few months things will warm up, they will bless me with some fruit. I know people are surprised to see I started UBE, and jackfruit. I just wanted a piece of home with me. All my plants are still young, less than a year. We see what happens in the next few years. It does get cold there at nights! I hope the plans will survive. 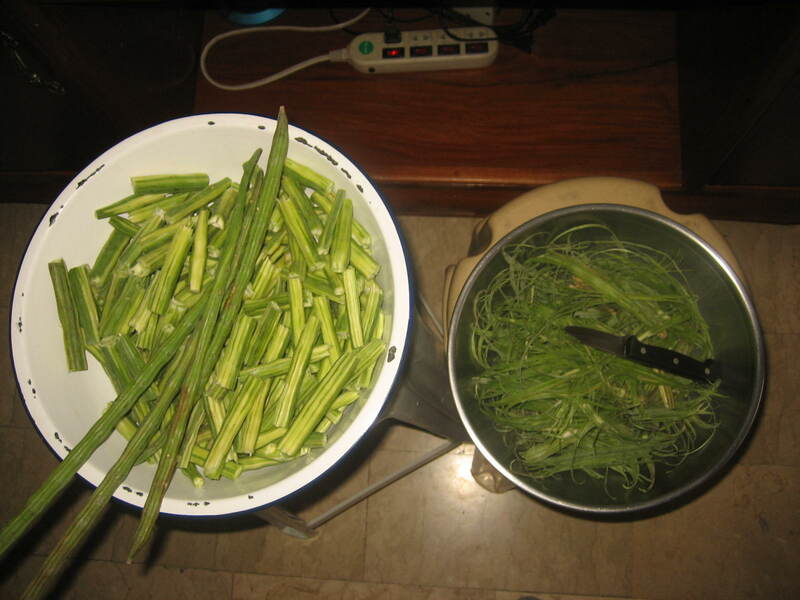 It will be something I will miss once I move, local fruits and vegetables!